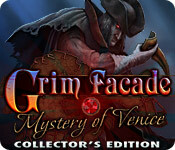 Grim Facade: Mystery of Venice Collector’s Edition is rated 4.2 out of 5 by 32. Rated 5 out of 5 by desiskorm from I'll never forget it This was one of the first games that really caught my attention. I enjoyed everything about it. Got a little confused at times, because I couldn't find the objects I needed to continue, but found my way in the end. Rated 5 out of 5 by coha92 from EXCELLENT Game!!! I truly enjoyed Grim Facade: Mystery of Venice Collector’s Edition. Everything was just perfect to provide me with several hours of entertainment. The music is so beautiful that I save it to my I'Pod. Rated 5 out of 5 by areti7 from Ers Games Studios always offer challenge Games It is a very interesting story with gorgeous graphics and lovely puzzles.Certain puzzles were more difficult .Personally I skipped 3 of them but with a little more insistence I believe I could be solve them. Music could be little better.There are a lot of HOGS but not boring.Be carefull to colect the Fans in some of them.I enjoyed this lovely game and do not hesitate to buy it. Rated 5 out of 5 by LavaReign from Very good game, and beautiful! 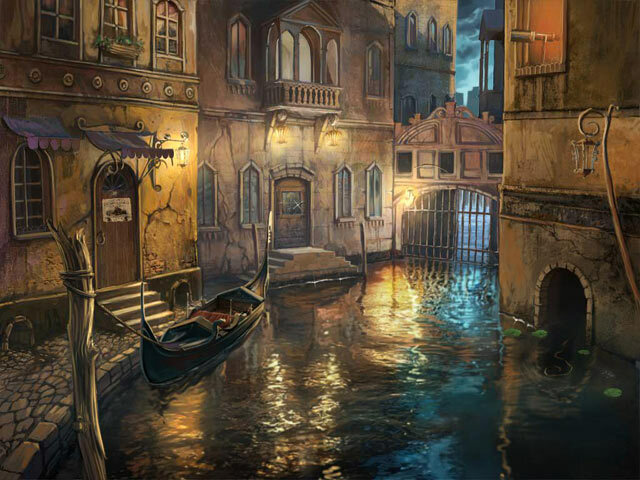 I absolutely loved the music and Venetian scenery, even if it was a little gloomy. Giovanni at the store was a nice touch, you can buy things from him to help you in the game. I can't say enough about the beautiful hand painted graphics, and there were plenty of locations to give you a nice view of Venice. I've been there before and it looked familiar to me. There isn't a ton of running back and forth, you will gradually use previous locations less and less. There are a lot of HO scenes, more than I would have liked, however they weren't terrible.. no junk piles, objects weren't replaced after you've found them (yeay! ), and the locations were inventive and realistic. The hint system was the typical "nothing to do here" which was aggravating, but besides that it was a very relaxing game. Rated 5 out of 5 by CARROLANN from Fun game! This is a really neat game, I loved the graphics, the story was interesting, it flowed nicely. HOG's were tougher than usual. I loved the part of this game where you had to use coins and buy clues! Really made the game interesting. The costumes for the ladies were a bit hoakie, but it was not a huge part of the story, so it was ok to overlook. And my favorite part, NO LOCKED DOORS! I am so tired of that in these games, key for this, key for that, I am glad I bought this game! Rated 5 out of 5 by shortstep from A Fantastic, Twisting, Turning, Hidden Object Game!! One of the best games I've played in my 3 years of Big Fish Club participation. Storyline is a make-sense continuating story. The challenging story makes sense to follow. 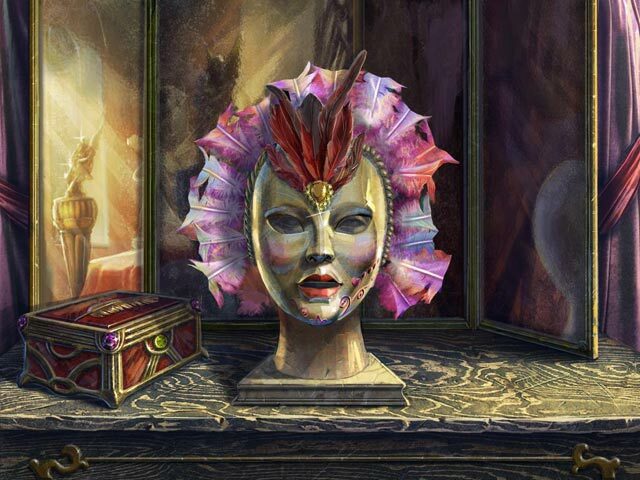 Vivid colors and items the correct size in relationship to the people help in finding the hidden objects. Completely interesting in every way. More like Mystery of Venice Collector's Edition? Bring them on!!! Rated 5 out of 5 by Sante001 from Love the Game . . . Great Opportunity to Store Up On CE I don't know where I was when this game came out, but I love it. 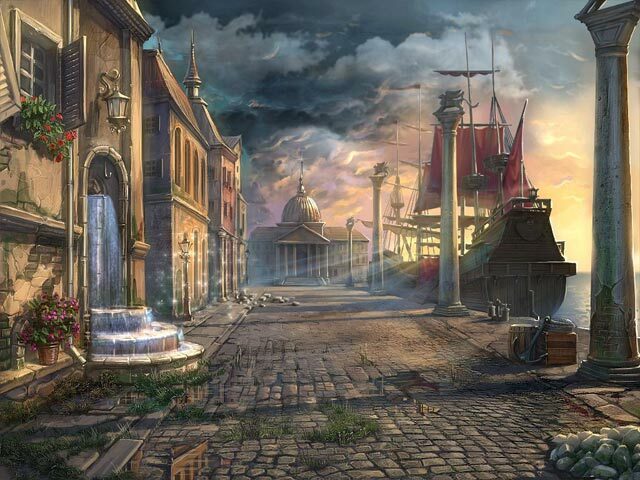 The storyline is pretty good and the hidden object scenes are graphically well done. I don't know what the standard addition offers, but this, CE offeres the following -- strategy guide, earn extra hints by finding extra fans, and golds coins throughout the game. The mini-games are interesting and not at all difficult. However, you have the option to skip in the casual. Speaking of modes, you have casual and advance modes. I only played 30 minutes and with this price -- $6.99 -- I'm off to purchase. Rated 5 out of 5 by Firehorse66 from Love Venice and loved this game I always appreciate artistic and a fun variety of puzzles, this game was better than most on this. I loved finding the coins and buying items at the shop, wish they had different shops to purchase or trade different items or clues to where items are hidden... there is so much to expand on that one new feature to the game. Had a good amount of areas to roam around, the areas were fun, and had good variety. The bonus play was good, I would say great if it was a bit longer. Still, I enjoyed it and recommend the CE. But for double the price these developers need to make longer bonus play! Rated 5 out of 5 by Juju38 from ERS do it again! Absolutely love this game! One of my favourites by far and I've played hundreds!! ERS never fail my delight in playing these games, the graphics are just stunning and the storyline is divine. I just love listening to the characters and the story is a big part of the game and just so beautifully written. I'll never get fed up with these great games. Keep them coming Big Fish.